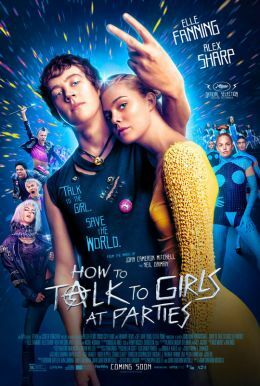 From the raucous dual imaginations of fantasy laureate Neil Gaiman (Coraline) and glam-rock multi-hyphenate John Cameron Mitchell (Hedwig and the Angry Inch) comes an electrifying and singular pop extravaganza film. Enn, a shy teenager in '70s London, meets a group of intense, otherworldly girls at a party. Though they seem like they're in a cult, he soon learns they literally come from another world. That doesn't stop Enn from falling madly in love with Zan (Elle Fanning), setting off a series of events that will lead to the ultimate showdown of punks vs. aliens.